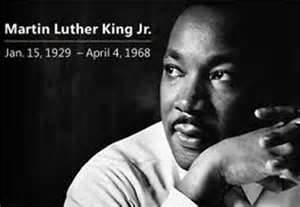 The city of Kenosha Municipal office building, 625 – 52nd Street, will be closed on Monday, January 21st, 2013, in observance of the Reverend Dr. Martin Luther King, Jr., holiday. The concrete and brick/block drop-off site, at the city of Kenosha Street Division, 6415 – 35th Avenue, will also be closed on Monday, January 21st. The drop-off site will have normal hours of operation of 7 am to 3 pm on Tuesday, January 22nd. The city of Kenosha waste and recycling routes will have normal collection on Monday, January 21st, 2013. There will be NO delay in trash collection during the week of the Reverend Dr. Martin Luther King, Jr., holiday. Regular hours of operation will be unaffected at the self-service bulk waste drop-off site, 1001 – 50th Street. It is open from 9:30 am to 5 pm on Tuesdays and 8 am to 3:30 pm on Saturdays.